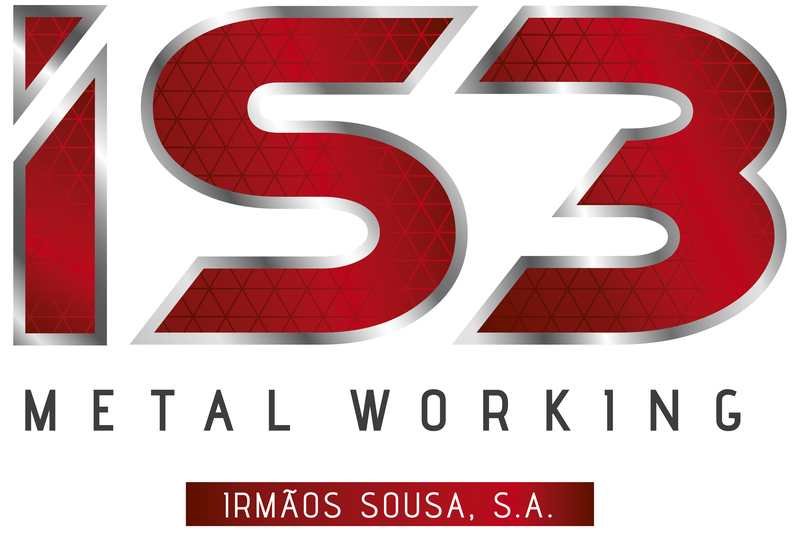 Quality - IS3 MetalWorking | Irmãos Sousa, S.A. 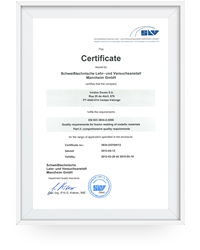 In order to ensure increased customer satisfaction, we continuously invest in the certification of our quality system. 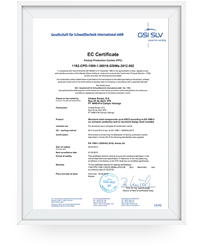 As one of the major demands of this company is to maintain and improve its quality system in order to be able to guarantee increasing customer satisfaction, the IS3 continually invests in certifications that meet the requirements of its customers. 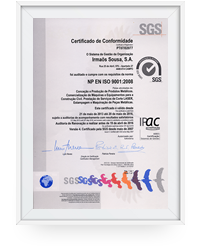 NP EN ISO 9001 Conception and production of metal products. Commercialization of machinery and equipment for civil construction. 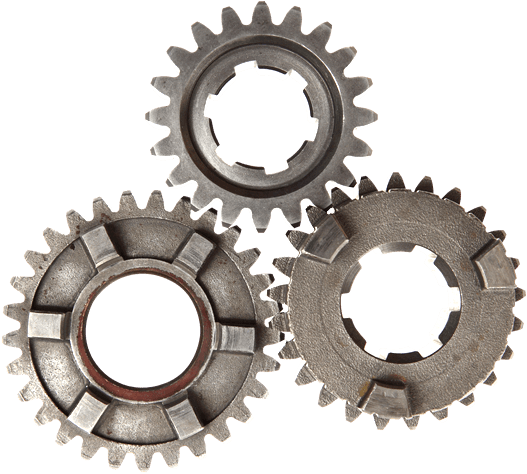 Provision of laser cutting services, stamping and machining of metal parts. EN 1090-3 Execution of aluminium structures. EN 1090-2 Execution of steel structures. Manufacture of components for steel structures, machinery and railway vehicles. 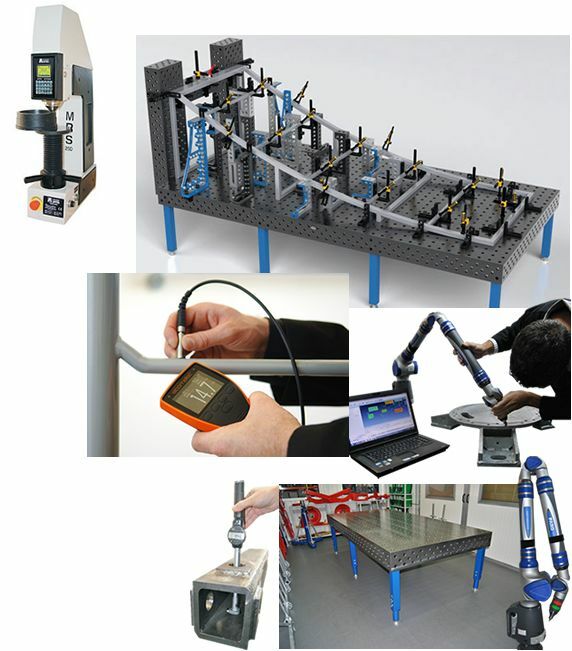 Equipment for assembly lines for the automotive industry. 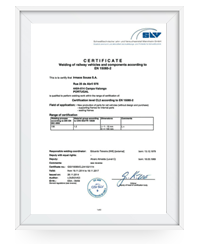 EN 15085-2 Welding of railway vehicles and components. 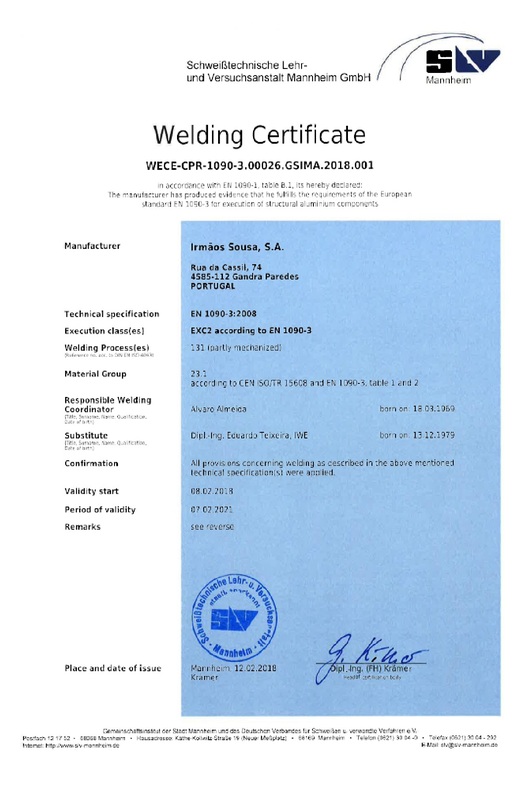 ISO/TS 16949 Implementation process for the auto industry certification. OHSAS 18001 Implementation process for health and safety certification. 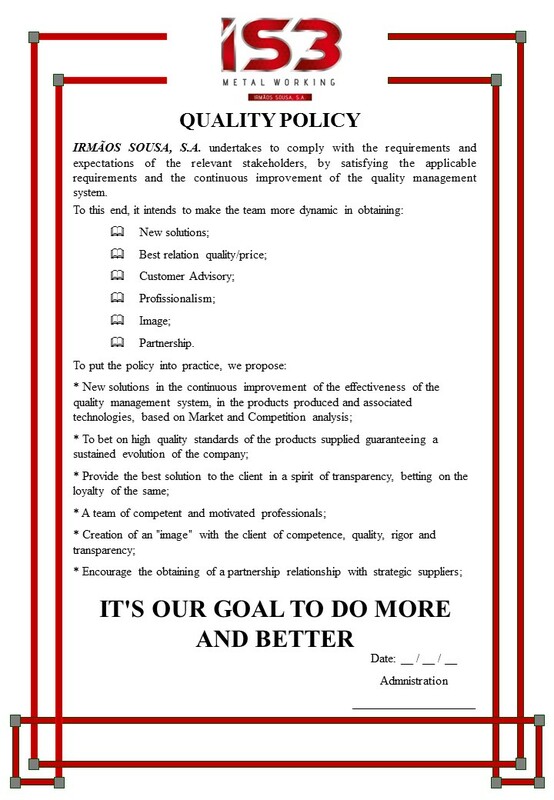 Records are made in PHC - production management software (Manufactor). Faro Arm for three-dimensional measurement.